How Big a Part Will the Internet Play in Today's Education? The future begins in the classroom. "How might we prepare our students for the future that is ever-changing?" 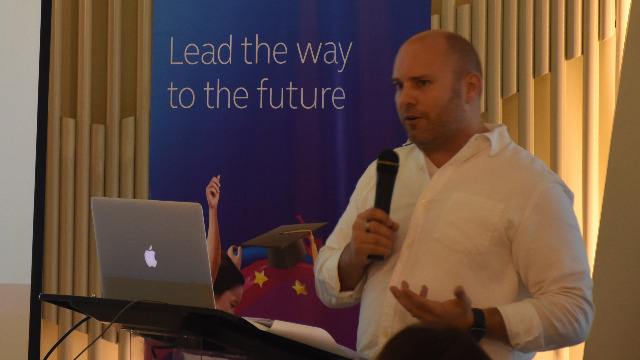 That was the question Brandon Hoover of International School Manila (ISM) asked an audience primarily composed of teachers during EdVolution: The Future of Education Experts Series, a Globe Expert Talk event held last December 6 at Globe Tower in Bonifacio Global City. As the Director of Technology of ISM, as well as a Certificate of Educational Technology and Information Literacy (COETAIL) Instructor and an Apple Distinguished Educator, Hoover led a discussion about the importance of digital learning as well as the technological and professional development of teachers. He underlined the need for students to become tech-savvy so they can survive the world of tomorrow. According to Hoover, there is a very real demand for schools and educators to accommodate this need and adapt to the fast-changing times. Ultimately, Hoover concluded during his talk, the answer to the opening question was simple: We prepare our students by preparing ourselves. With today's youth being exposed to so much technology, teachers must learn to integrate technology into their classroom practices in order to engage their students. Instinctive use of touch-screen technology, Googling, and even the widespread use of social media: These are things that come second nature to students now, and they need to be taken into account when forming effective pedagogical strategies. But it's not just up to the teachers. The school must not only work to anticipate the technological context from which its students come but also nurture their skills in this area. After all, the primary objective of a school is to produce productive students. In this day and age, it's difficult to be a successful member of the workforce without computer literacy and tech-savvy. A learning environment that incorporates technology also instills certain qualities on the students that can only aid them in the future, such as taking the initiative in finding solutions to problems, being creative about approaching tasks and projects, using multimedia resources effectively, and knowing the value of collaboration—all essential traits of a valuable player in the working world and also of a potential entrepreneur. Apart from picking up technical proficiency, schools that are tech-equipped give their students the best chance possible to succeed in life beyond the four walls of the classroom. From bringing in information and communication technology like a fast internet connection to creating online lessons and activities, schools must find ways to prepare their students for futures that demand competence around such tools and practices. This is how schools and their students can remain globally competitive. Of course, doing so is easier said than done, especially in the Philippines. It will take some time before quality ICTs and IT programs become readily available in all public and private schools nationwide. In the meantime, a reliable Internet connection will allow students to have easy access to all the resources available on the web, as well as open new ways for teachers to conduct lessons and interact with their students. 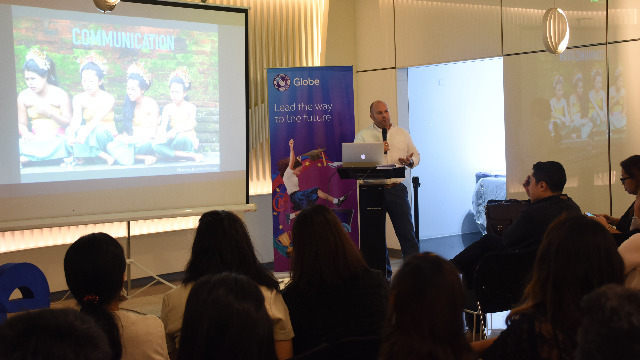 One good option for schools to use is Globe myBusiness Fixed Internet, an affordable, business-grade broadband connection. With Fixed Internet, you can choose either packaged bundles, which have set connectivity speeds and digital solutions, or create your own to suit your school’s needs. Prepare your students and your school for the future by getting Fixed Internet and by partnering with Globe myBusiness. E-mail education@globe.com.ph today to request for more information about Globe myBusiness' digital education solutions for learning institutions. This article was created by Summit StoryLabs in partnership with Globe myBusiness.